To celebrate the countdown to "The Hunger Games: Catching Fire" movie release on Nov. 22, here's my next giveaway for teachers: a Catching Fire novel (movie tie-in cover) and a NECA Catching Fire Stationery Set. 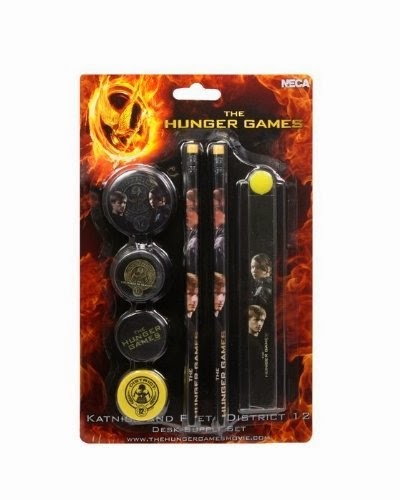 The stationery (or desk supply) set comes with two pencils, a pin, a pencil sharpener, a ruler, and two erasers. The best part? I will be giving away TWO of these prizes, so you have an even better chance of winning! 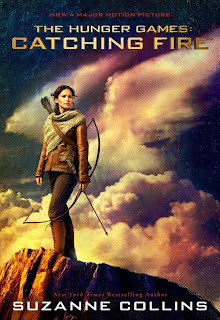 The movie tie-in edition of the novel features the beautiful depiction of Katniss from chapter one in District 12. 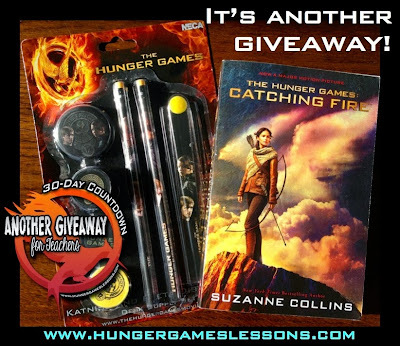 Two lucky winners will win this Catching Fire book! The desk sets feature Katniss and Peeta and can make great prizes for students or enjoy them on your teacher desk! I'll be giving TWO of these away, too, with the books! Each time you share on a social media site you get additional entries, so tweet, pin, and post/share on Facebook every day for +2 entries each day. 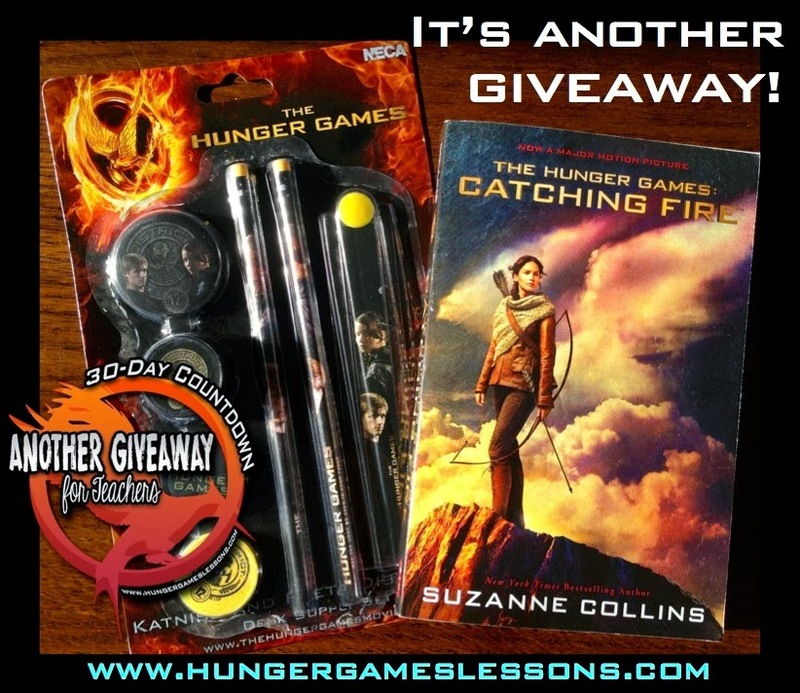 The giveaway closes in a week (winners will be announced Nov. 3rd), so enter now and enter daily! Good luck! 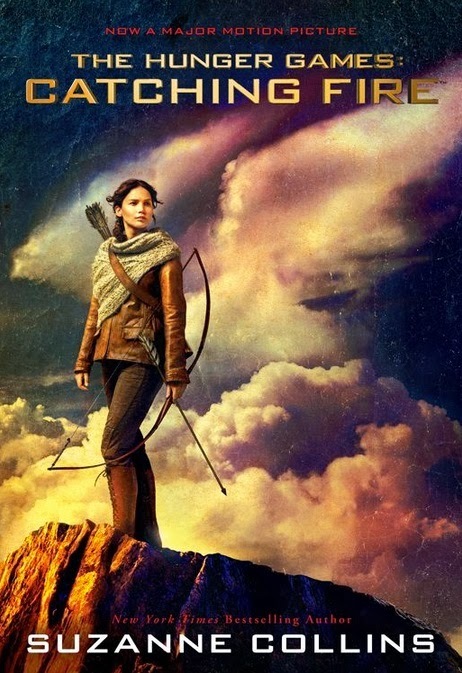 Catching Fire: 30 Days and Counting Down! 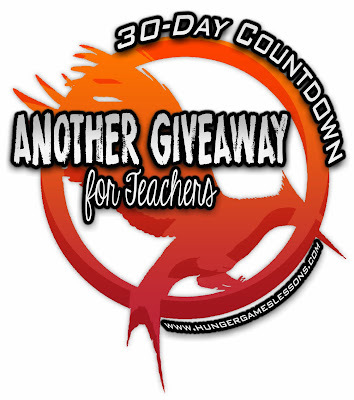 Coming Soon...30 Day Countdown to Catching Fire!